On 26 February 2016 FIFA will convene an Extraordinary Congress meeting with just two substantive agenda items: to elect a new president in place of the suspended Sepp Blatter – and to amend the FIFA statutes on governance. Although the former will dominate the headlines, it is the latter that could determine FIFA’s fate. The reforms have to be accepted by 75 per cent of the 209 voting member associations to pass. If they fail, which is unlikely, the message will be that FIFA cannot change despite the fact that it is facing two widening criminal investigations and the spectre of more damaging arrests of football officials. Already some sponsors have pulled back and FIFA, which recorded a net loss in 2015, has admitted the climate to attract more is bad. The public is also fed up. A recent Transparency International and Forza Football poll of more than 25,000 fans showed that 69 per cent of had lost confidence in FIFA. And FIFA already has large legal bills and the prospect of two controversial World Cups in Russia and Qatar to deliver. Quite separate from the debate over the presidential election process, the proposed new statute amendments do not have enough detail to determine whether or not in practice they can deliver an accountable and transparent world governing body to stop corruption and win back trust. On the positive side they do change the role of the infamous Executive Committee. In the past its members decided where World Cups would be hosted but also held posts on committees that decided key decisions of the day to day operations, including marketing and broadcast rights deals. These have been at the heart of corruption allegations with twelve former Executive Committee members indicted for alleged involvement in bribery and racketeering. In its place will be the FIFA Council now, made up of 37 elected representatives from the six regional Confederations and led by the FIFA President. There will be more women on the new Council too. The Council will not oversee the day-to-day operations of FIFA. That will be under the new General Secretary who will be appointed by the Council and report to the President. How he or she is picked and with what criteria and integrity checks is not yet decided. The statues allow for the creation of a fully independent Audit and Compliance Committee and new Governance, Development and Stakeholder committees where many of the members will be independent. How FIFA defines independent and how it picks these new ‘outsiders’ will be key. There is no mention of publishing the criteria for the choices or for any integrity checks that they would have to go through. This is a mistake. What the statutes do is leave the new Council to fill in all the gaps through the issuing of the all-important FIFA Governance Regulations. The first sitting of the Council will consist of those remaining members of the previously discredited Executive Committee that have not been arrested or suspended, plus a new President and some new Vice Presidents from the confederations. This is not the first group most people would want FIFA to turn to. Quite simply it needs external advice and independent oversight to get the details right. This means that the item 5.3 on the agenda of the meeting of the current Executive Committee on 24 February is very important: a discussion whether to agree on an independent advisory body to supervise the reforms. So far FIFA have released no information about this discussion. We believe that unless FIFA picks an advisory body with unimpeachable, internationally renowned people who have power to intervene, the whole reform process will lose its credibility and could fail. The announcement by one of the candidates, Prince Ali, that he would appoint a committee with Kofi Annan as its chair is the first indication that the message is getting through. People do not trust FIFA to clean up its corruption problems on their own because the culture of entitlement is too well-ingrained. None of the other candidates have endorsed a similar plan. FIFA needs to show “nothing short of full transparency in how football is governed at the global, regional and local level,” as Francois Carrard, the architect of the current reform agenda said last year. 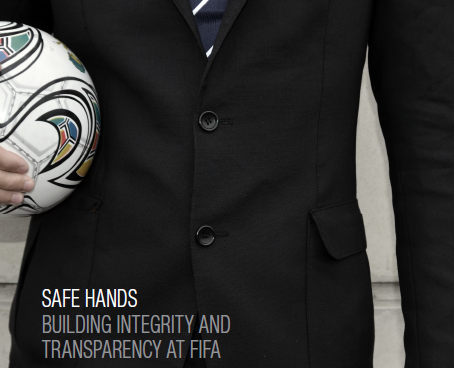 To Transparency International that means a commitment to publishing all relevant information, on an ongoing basis, about those who hold office at FIFA and the regional confederations. This would include not only a list of salaries but also a list of interests and preferably assets so people can see that those who work in football do not enrich themselves illegally. 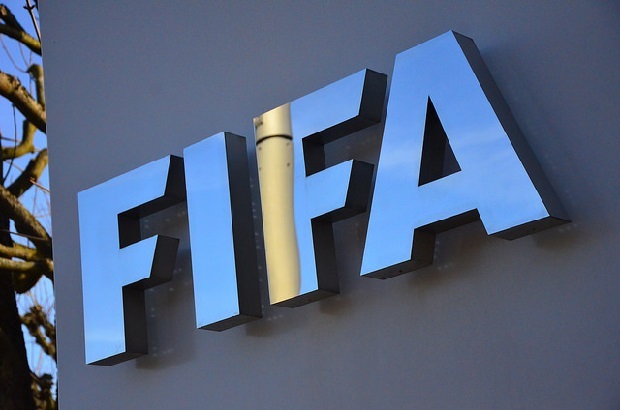 It means that FIFA has to impose transparency and accountability from the top down and the bottom up, monitoring, assisting and/or holding to account the 209 member association and confederations to up their games or lose development funds. FIFA does not have an unlimited amount of time to prove it is serious. While we will not see real change until the FIFA Governance Regulations are published, it should make all of the hard decisions in Zurich and accept external guidance, and let the world watch as they are carried out. Deborah Unger also contributed to this blog.